With Political stories abound like China warns U.S. against more patrols in disputed South China Sea, Putin: NATO keeps trying to draw Russia into confrontation, North Korea's Missile Threats to the U.S. May Not Be Empty for Long. And on the economic side China's Holdings of Treasuries Dropped in 2016 by Most on Record, ECB Minutes: in Face of a High Level of Uncertainty at the Global Level, Bank of Japan Warns Low Rates May Start a New Financial Crisis and of course, Analysts warn of 1970s-style stagflation as US prices rise, industrial output falters. 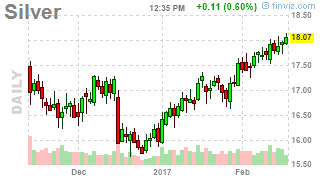 Lately I cannot get over the action in Gold and Silver. The Metals will not budge on anything. Correlation between $USDJPY and $DXY used to be Very high, now Metals are not moving. In fact the Yen devalues and Silver upticks. The dollar has bounced and gold is down for 10 minutes. Gold is telling the world something. 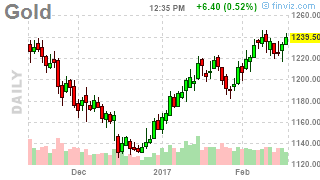 After the election and 2016 longs were unwound, gold has come back to a fair value and silver is leading the charge. This is very positive price action and is why I want to bring this up. Look at the charts. This gold trend-line voodoo is important. 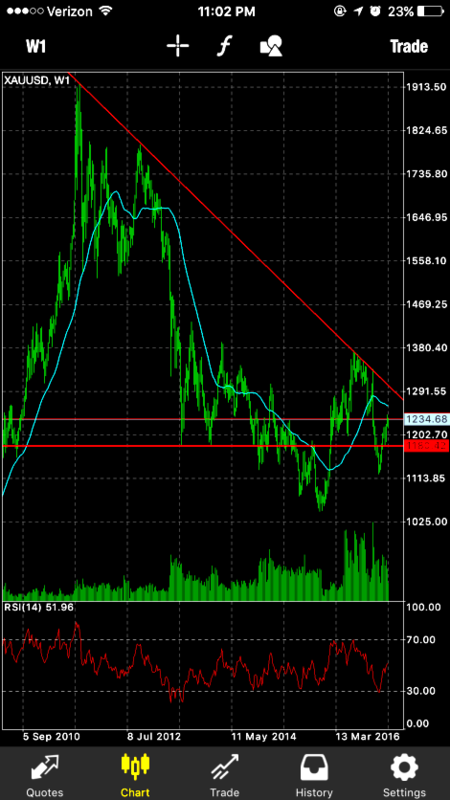 As long as gold is above 1200 it is a long. Over 1300 starts a move to 1600 gold. I think we see 1450 this year and I think gold can smell the BS in the market right now.